Yes, every ingredient of every recipe is accounted for and decremented per menu item sold. Click here to read more about Inventory Management/Recipe and Menu Engineering. 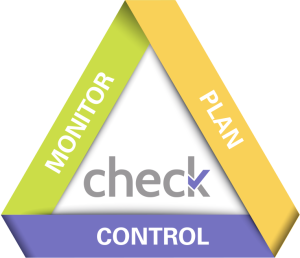 Check is a procure-to-pay (P2P) system, controlling the entire process from supplier collaboration to quotes, orders, delivery and invoicing. Click here to read more about CPO & Procurement Management. Check systems interface with most major POS and accounting software systems, creating a streamlined process that links information and reduces workload. Click here to read more about Interfaces.